Certified Locks Installers » What Is a Security Audit ? Ask any high-tech professional or web programmer what’s their number one check-up before launching a new app/web/etc, and they’ll all give you the same answer – security! In fact, due to the high risks and vulnerability high-tech companies spend millions of dollars on trained professionals to try and ‘hack’ their product and by doing so exposing it’s ‘blind spots’, before a real hacker would get the chance to. Same goes for any property– you want to know where the soft spots are, and how you can shield them. All entries, including underground, back entry gates etc. Your property’s vulnerability: damaged / low fence, exposed windows, high trees nearby leading to the roof, basement. The list goes on and on, we have a long one when it comes to our clientele’s safety. To make a long story short- a security audit is a check-up that provides you with a wider, conclusive POV regarding your property’s security status. Security Audit- only with a trained expert! Locksmiths are trained to spot and identify your property like a hound dog as we spend our days and nights dealing with all sorts of burglaries – we know where a burglar would go, where he’ll try to snick in and what intimidates him the most. 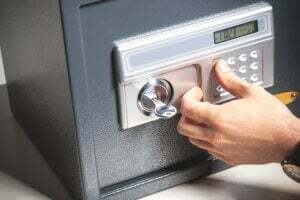 Our locksmiths at Quickly Locksmith are all trained professionals who would be more then qualified to not only spot any soft spot in your property, but also offer a reliable, strong, cost-worthy solution right away. 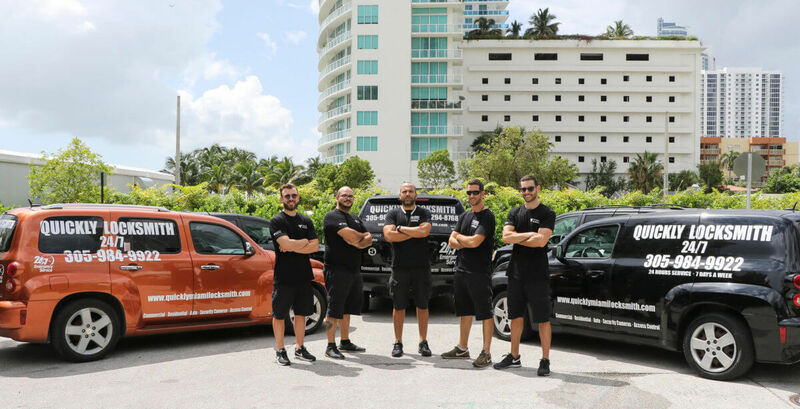 Our years-long experience providing commercial locksmith services around Miami and wide spread clientele enables us to handle any commercial and residential properties with top efficiency measures. Your Peace – Our Mind! The first thing we usually hear after conducting a security audit and delivering results is – ‘I had no idea’! of course not… no one wants to walk into a new home / office / business and start sniffing around for burglaries opportunities, but you still want to hold all the cards and have full control. That’s why you should call Quickly Locksmith, day and night, we’re here to keep you safe.